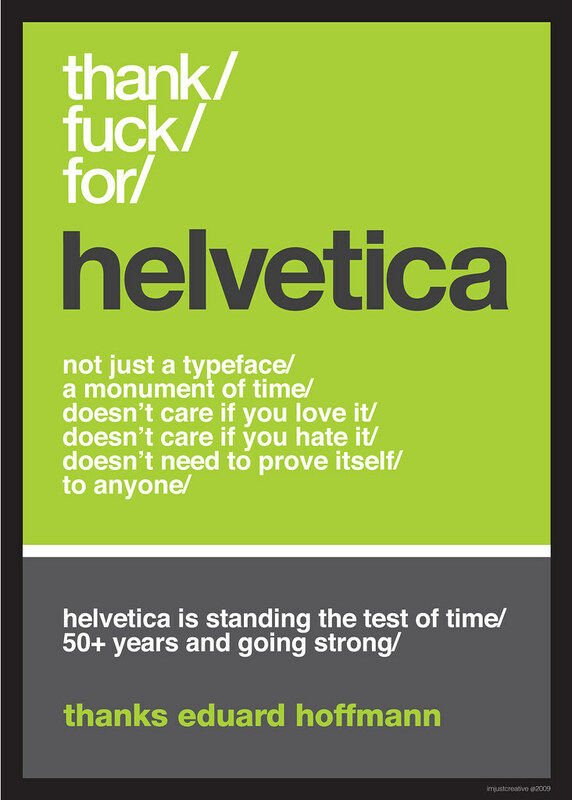 After the release of the Thank F**k For Helvetica-Max Miedinger Typography Poster yesterday, here is part 2, a tribute to the man behind the idea of Helvetica, Eduard Hoffmann. The first poster a tribute to the man mostly responsible for the crafting of the letterforms for Helvetica. I am happy to supply the original Illustrator to anyone who wishes to have it for the purposes of print reproduction only. Please do not alter the contents of the file.